Collecting data can lead to innumerable insights into your business but only if you have the right tools in place to derive valuable information from it. 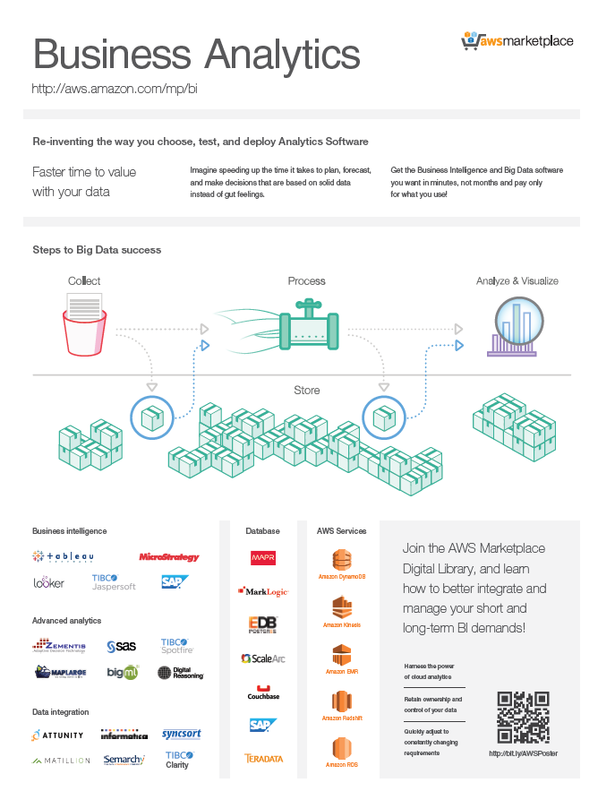 AWS Marketplace hosts popular software vendors offering business intelligence (BI) and data analytics software that can help your business collect, prepare, analyze, report, and visualize your data. By acquiring software through AWS Marketplace, your solutions are pre-configured to run flawlessly on AWS so you can deploy in minutes rather than months. 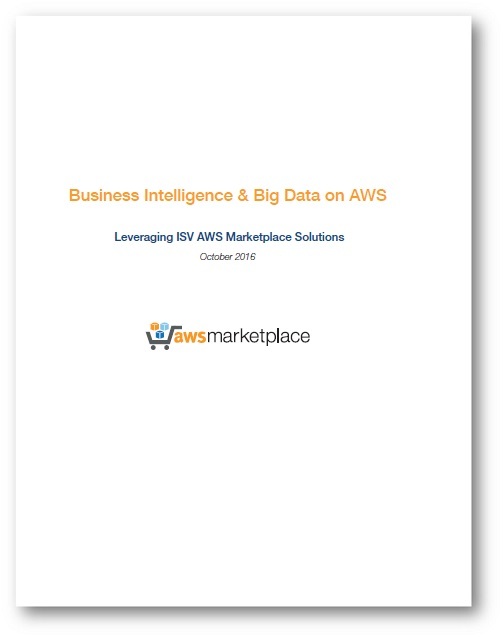 Download the solution overview to get a detailed look at the software offerings available through AWS Marketplace and how they can help your business identify market trends, optimize internal processes, and more. View Databases, BI and Big Data solutions in AWS Marketplace.